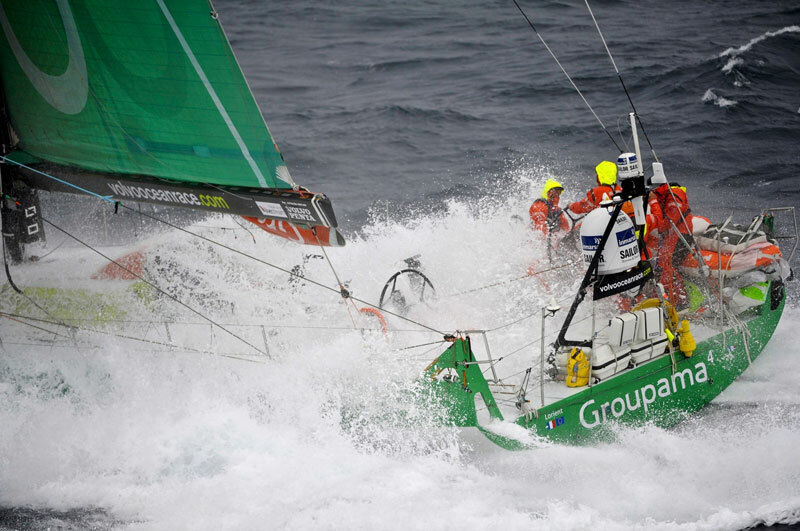 Groupama completed a heroic comeback victory on Leg 8 of the Volvo Ocean Race on Friday, strengthening their grip on the overall standings and realising a dream homecoming to Lorient – while Telefónica suffered a cruel twist of fate that allowed PUMA to move into second overall. Just two days ago Groupama were back in fourth struggling to catch up after spending more than two hours trying to free their jammed mainsail, with bowman Brad Marsh having to climb the 31-metre mast three times in storm conditions. But once again Franck Cammas’ crew showed off their blistering pace, hauling back their rivals to climb up to second going into the final 24 hours — and when Telefónica saw their hopes dashed by a second broken rudder 12 hours from the finish they were left unchallenged in terms of pace. The win sees them take a maximum 30 points to move on to a total of 219, bolstering their position at the top of the overall leaderboard with just one leg and two in-port races left. CAMPER with Emirates Team New Zealand took a strong second in the leg while PUMA Ocean Racing powered by BERG came home in third to take over as Groupama’s main challengers, 23 points behind them. CAMPER are five points further back on 191 points. Telefónica will join them on 191 if they go on to finish ahead of Team Sanya in fifth. An army of French fans turned out to give Groupama an ecstatic welcome back to their home port and celebrate their second leg victory of the race. “It’s a very good feeling for me and for the crew,” said Cammas, who steered his team across the line at 1131 UTC, for an elapsed time of 4d 23h 31m 02s. “It was a short leg but it was very hard. Last night was very complicated and we took a lot of risks but finally they paid off. 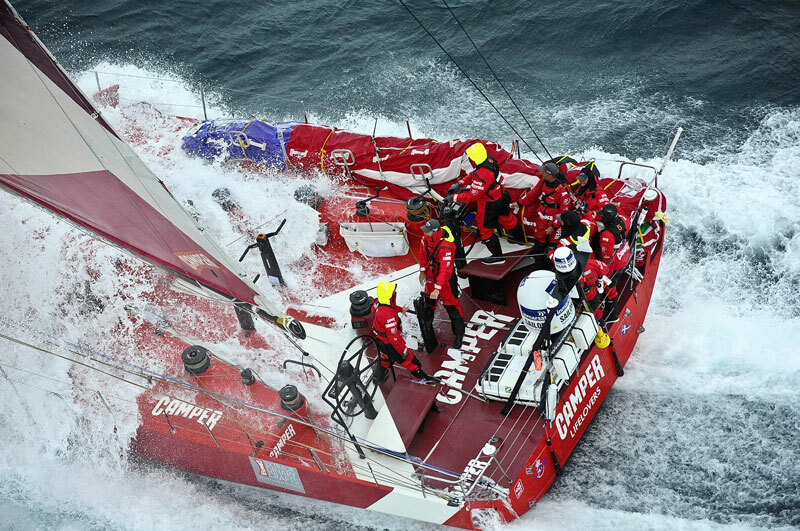 Just under an hour after Groupama finished, CAMPER crossed the line to take second place, with PUMA claiming third just 15 minutes later. “We were back a bit during this leg and we knew it would be tough to get out to the Azores with all the jib reaching, but then we knew there would be some chances in the low pressure,” said skipper Chris Nicholson. PUMA skipper Ken Read said he was happy to see his team notch up their 10th successive podium finish of the race, including in-port races, but that he was conscious of Groupama extending their overall lead further. “It’s bittersweet,” he said. “We didn’t sail our best leg to be honest — we made some mistakes. Slipping up on CAMPER at the end was disappointing, but I give them credit for taking advantage of the one little slip up we made. 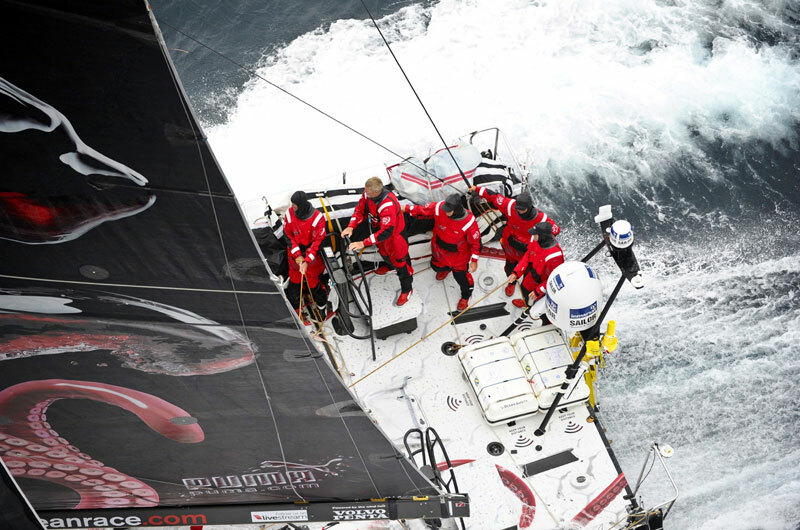 Abu Dhabi Ocean Racing missed out on a podium position by less than two hours, finishing in fourth at 1417 UTC. Meanwhile, the reality of seeing his Leg 8 dreams dashed was sinking in for Telefónica skipper Iker Martínez. Wild conditions continued to dominate in the final sprint for the finish line, as seen in this incredible video from on board CAMPER. 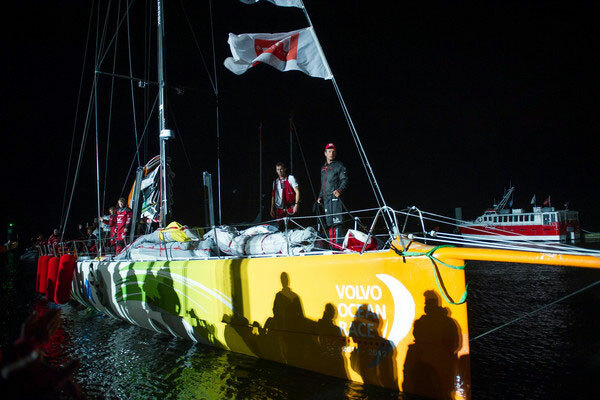 The video is downloadable from our Broadcast Room at http://volvooceanrace.synapticdigital.com. Despite being the shortest of the legs so far at under 2,000 nautical miles, Leg 8 from Lisbon, Portugal, to Lorient, France, threw up numerous challenges. 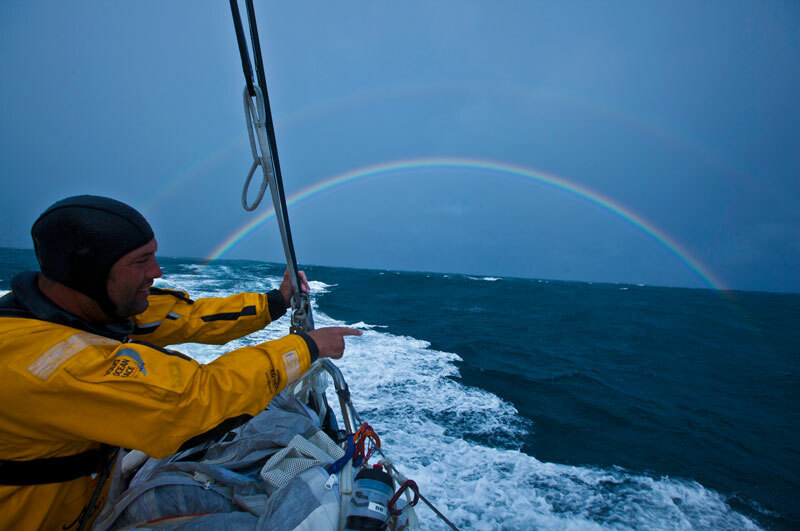 The fleet had to negotiate the light, tricky winds of the Azores High as they approached the waypoint of São Miguel, while in the latter stages winds got up to more than 40 knots in a violent North Atlantic storm. 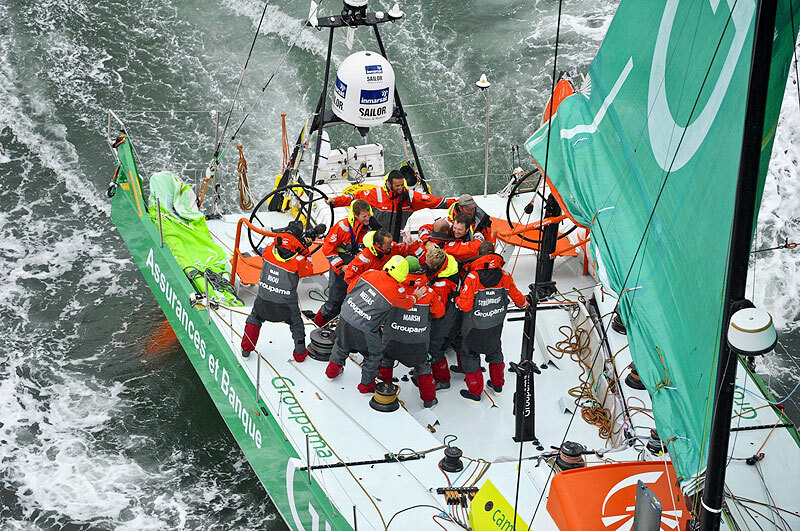 Just 48 hours from the finish, Groupama faced a potentially dangerous situation as they tried to reduce sail area in preparation for gale-force winds. The sail got jammed at the top of the mast leaving Marsh to carry out some mid-sea heroics, climbing to the top of the mast three times in winds of well over 20 knots and rough seas. Leg 8 also produced record-breaking 24-hour runs, with CAMPER setting the top distance of the race so far of 565 miles. Telefónica are expected to cross the finish line at 2000 UTC, with Team Sanya due to finish at 2200 UTC.